Humboldt Redwoods State Park is a state park of California, United States, containing Rockefeller Forest, the world's largest remaining contiguous old-growth forest of coast redwoods. 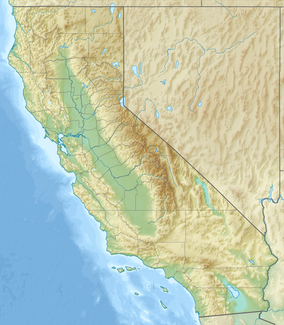 It is located 30 miles (48 km) south of Eureka, California, near Weott in southern Humboldt County, within Northern California, named after the great nineteenth-century scientist, Alexander von Humboldt. The park was established by the Save the Redwoods League in 1921 largely from lands purchased from the Pacific Lumber Company. Beginning with the dedication of the Raynal Bolling Memorial Grove, it has grown to become the third-largest park in the California State Park system, now containing 51,651 acres (20,902 ha) through acquisitions and gifts to the state. It is part of the Northern California coastal forests ecoregion and has 23,600 acres (96 km2) of old-growth forests. 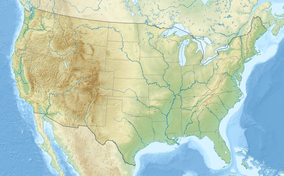 17,000 acres (69 km2) are old-growth redwoods, comprising the entire Bull Creek watershed and the Rockefeller Forest. Nearby U.S. Route 101, which generally follows the Eel River and its South Fork in this part of the North Coast, offers easy access to the park and nearby towns with connections to the scenic highway, Avenue of the Giants, also mostly located within or near park boundaries. The original inhabitants of the area were the Sinkyone. In the 1850s white settlers began felling the redwoods, seeking to clear the land for homes and pasture. About 20 years later the timber industry moved into the region, and railways and roads were routed through the area for accessibility to the trees. In 1918 after realizing how much of the old-growth forests closer to San Francisco had been harvested, Boone and Crockett Club members formed the Save the Redwoods League, and began working to preserve redwood forests in the region, including the area that became Humboldt Redwoods State Park. The Garden Club of America, through its Redwood Grove Committee, raised half of the funds needed to buy the 2,552 acre Canoe Creek Grove which became part of Humboldt Redwoods State Park. Sarah Gildersleeve Fife was instrumental in the activities of this committee. The park is famed for its coast redwoods (Sequoia sempervirens), many of which grow to over 300 feet (91 m) in height. The forests on alluvial plains are almost pure redwood forest, but the forests on the slopes also contain Douglas-fir. Over 100 of the 137 known trees over 350 feet (110 m) tall—all coast redwoods—occur in Humboldt Redwoods State Park. It is home to the 4th-tallest measured living redwood, the Stratosphere Giant, which was measured at 112.94 metres (370.5 ft) in 2004. Stratosphere Giant was the tallest known living redwood until the discovery of three taller trees in Redwood National Park; the tallest, Hyperion, measuring 115.55 metres (379.1 ft) in September 2006. Before the discovery of Hyperion, the tallest redwood ever measured was the Dyerville Giant, also in Humboldt Redwoods State Park. It was 113.4 metres (372 ft) high when it fell in March 1991. It was estimated to be 1,600 years old. The Dyerville Giant can be seen on Founders Grove Nature Trail, which honors the creators of Save the Redwoods League. Also in this grove is Founders Tree, which is 346 feet (105 m) tall with circumference of 40 feet (12 m). The Avenue of the Giants offers visitors a 32 miles (51 km) drive through Humboldt Redwoods State Park with eight stops along an auto tour of park highlights. The park has over 100 miles (160 km) of hiking trails. Visitors to the park can go horseback riding, mountain biking, fishing, and swimming in the South Fork Eel River. The park is prone to fire hazards, and camping is permitted in specified areas. Almost 250 sites are available for use, including an equestrian camp. Nearby Burlington, serves as a main camping spot, alongside Albee. ^ "California State Park System Statistical Report: Fiscal Year 2009/10" (PDF). California State Parks: 26. Retrieved 2012-07-01. ^ "Humboldt Redwoods SP". California State Parks. Retrieved 2012-07-01. ^ a b Sinotte, Barbara (1 June 1996). California: A Guide to the State & National Parks. Hunter Publishing, Inc. ISBN 978-1-55650-733-5. ^ Sheldon, William G. (1935). A History of the Boone and Crockett Club. Boone and Crockett Club. pp. 81–88. ^ "Founders Grove Nature Trail in Humboldt Redwoods State Park". hikespeak.com. hikespeak. Retrieved 2017-01-14. ^ "Coast redwood 'Founders Tree' in Founders Grove, Humboldt redwoods state park in Weott". monumentaltrees.com. Monumental Trees. Retrieved 2017-01-14. ^ "Humboldt Redwoods State Park Brochure" (PDF). parks.ca.gov. California State Parks. Retrieved January 18, 2017. 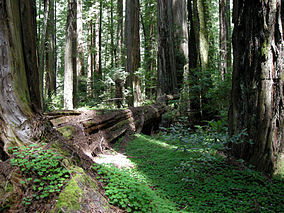 Wikimedia Commons has media related to Humboldt Redwoods State Park. This page was last edited on 15 August 2018, at 18:49 (UTC).